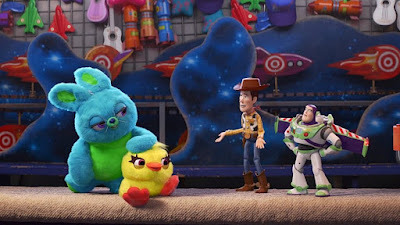 After yesterday's Toy Story 4 teaser we're all probably riding high with love for our favorite Pixar characters. How could it possibly get any better? How about one more teaser? With Key & Peele in it, reprising a bit from their Comedy Central series? It's almost too good to be true. Now if only they could get Liam Neeson for a cameo. Toy Story 4 opens June 21st 2019.